Redecorate a bedroom and add the finishing touch with new pillowcases. If you have more pillows than pillowcases, sew your own for a perfect match. Pull together the colors and patterns of a room with a coordinating pillowcase, an easy project for sewers at any level. 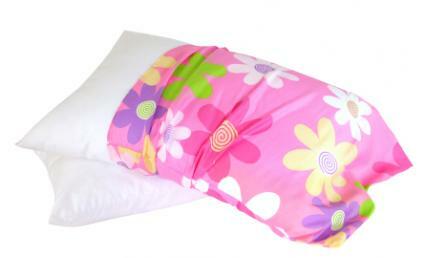 There are several basic patterns for pillowcases which offer a range of decorating options. Housewife: A pillowcase where the opening for a pillow is hidden in the back. Also called an Envelope pillowcase. Pillow sham: A decorative version of the housewife case, typically made in a fabric that matches the bedspread or drapes. These are also used for throw pillows. Drawstring: Drawstring pillowcases are most commonly found with travel pillows, but they can offer a simple alternative to zippered or buttoned cases. This pattern is for the typical pillowcase with an overhanging cuff. Sized for a standard pillow, the pattern is easily adjustable to other sizes. You can dress it up with a satin cuff, or mix print and solid-color fabrics. A beginner can finish this project in an hour. For experts, serge the seam allowances to add professional detail. This pattern fits a standard pillow with measurements of 20 x 26 inches. 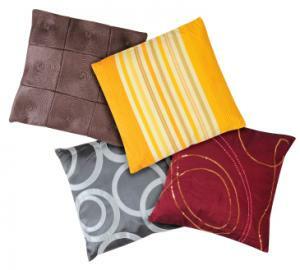 Add inches to the pattern equal to the difference between standard measurements and those of the pillow to be covered. Unfold a page of newspaper or any other paper with 90 degree corners. Use the ruler to mark on one side a width of 22 inches and on the other side a length of 28 inches. Use these markings to draw a rectangle and cut it out with paper scissors. On another piece of newspaper, cut out a rectangle of 22 inches by 13 inches. This will be the cuff of the pillowcase. Wash and iron the fabric. Fold it in half width-wise, so that the right sides of the fabric face each other and the selvage edges are aligned. Selvage edge is the tightly woven edge of fabric which should not be used in a finished project. Pin the larger rectangle to the fabric, and cut it out or draw around the pattern, and remove it before cutting the fabric. Repeat for the smaller rectangle in the same or a complimentary fabric. There should be four pieces total now. Fold one small rectangle in half length-wise so that the right sides show. Iron the fold. Pin the small piece atop the right-side of the larger piece so that their edges line up. Sew them together 1/2-inch from the edge. Remember to backstitch at the beginning and end of the seam. Repeat for the other rectangles. Spread out the sewn piece at the seam line. Place the two sides of the case together so right sides are facing each other. Pin three sides (not the side with the cuff). Sew along the pinned sides with a 1/2-inch allowance from the edge. At corners stop 1/2-inch from the end, leave the needle in the fabric, raise the presser foot and turn the fabric toward the next seam line. Lower the presser foot and continue. Turn the pillow so the right sides are facing out. Iron the completed pillowcase a precision finish. There are lots of free patterns to make your own pillowcases online. Here are a few interesting patterns that you might want to try for your own home decor. Bedding fabric is typically cotton or a polyester-cotton blend. As the thread count increases so does the silky feel of the fabric; however, high thread count cotton is more expensive. There are many ways to achieve the same results without the high cost. Cut a pillowcase from old sheets hiding in closets or purchased at a thrift store. Cut pieces from the edge of the sheet where there is less wear. Another option is to use several large men's dress shirts if they are in good condition. Dress shirts tend to be made of nice fabric and work well for the entire case or as a fancy cuff. Flannel is a great choice for winter bedding and for a fun look use a plaid flannel shirt. Vintage fabrics can also be found at thrift stores and will give pillowcases a different style. 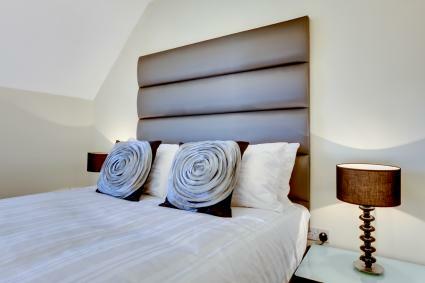 Look for co-ordinating fabrics that offer some texture or pattern for throw or accent pillows. Pillowcase patterns offer a basic template that you can customize to create unique designs. Alter the pattern to create pillowcases for a college dorm using school colors. For a personalized wedding gift, embroider the newlyweds' monogram on a set of pillowcases. You can also alter the look of any bedroom by reversing the fabric used on each side of the pillowcase, or mix and match pillowcases. There is no limit to the options of a simple pattern.